I worked with the owner of Mae and Harvey, Natasha Sayliss on illustrations for a cookbook that she was writing. 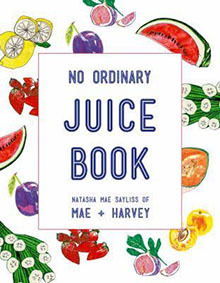 It was entitled Mae + Harvey, No ordinary Juice book. It was published by Pavilion Books. 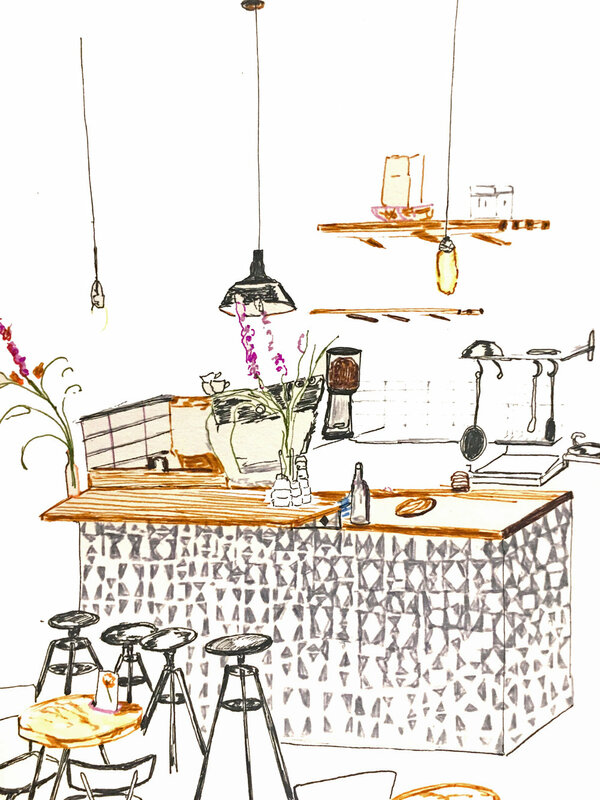 I have recently made more drawings for Mae + Harvey Cafe on Roman Road.